They’re not even married for real. I think the Australian law prevents it somehow ? But other countries they can legally marry? 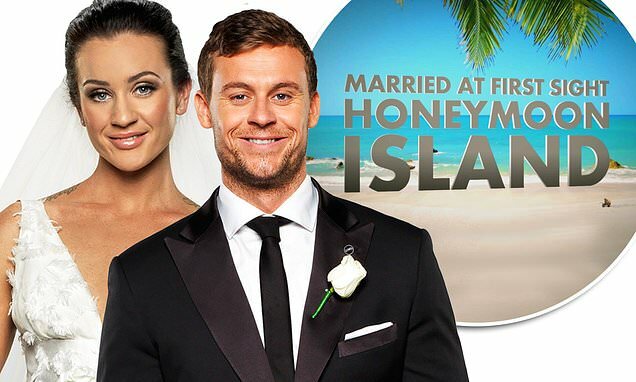 Channel Nine is cashing in on the incredible ratings success of Married At First Sight with a spin-off show, MAFS: Honeymoon Island. You say that jokingly but in a round about way I kind of am. Shows that try to expand their franchise - with spin-offs or second yearly seasons - tend to get a franchise fatigue with viewers, which hinders ratings success for the franchise (Masterchef, The Block are the prime examples for that). So while there will be short-term “pain”, there will be long-term “gain”. “Pain” & “Gain” are in quotations to denote the trivial nauture of the pain/gain caused by this stupid show existing/not existing. If you ask me, a spinoff will most likely dilute the original show further. Not that it will be a bad thing though…This show is pure junk and this comes from someone who thinks MKR is rubbish. Personally I hope Nine does decide to do multiple Non-Binding Commitment Ceremony Melodrama Married At First Sight to dilute/kill any interest in the main program ASAP. Exactly how this nonsense is currently one of the most popular shows in Australia (Sydneysiders, Melbournians & South East Queenslanders particularly love their MAFS judging by the ratings…I don’t get it) is beyond me. Please no. We already have Bachelor in Paradise and Love Island. This will just feel like a rip-off or repeat of them and will damage MAFS in the long run. Anyway as for last night’s episode - I actually love that they showed Billy calling Susie out for being on the show just to get more instagram followers. On radio today he’s said that she was only ever lovey dovey on the honeymoon when the cameras were rolling and when they were off she would barely even acknowledge him. Billy wasted no time calling her out for it even if it means he has such a short stint on there. I noticed that Susie had to turn off commenting on some of her instagram posts. She must be pretty hated - what a nutter. Had the most unfortunate encounter with this show on the telly at home last night. Gee whiz this show has got to be up there with the worst shows in the world. The supposed ‘actors’ on the show who were apparently paid to be casted are horrendous at acting, with the bitching from ‘Cyclone’ Cyrell a very obvious and deliberately set up by producers. Furthermore, the supposed ‘ambitions’ of each of the subjects in there are so stereotypical and predictable, it’s not even funny. They shamelessly promote this as a ‘social experiment’ but it’s more like Channel 9’s daily, bitching session. The premise of this entire show is vile and insufferable. I was over it after 10 minutes. Garbage like this makes MKR look family friendly in comparison. but I wish Nine would stop pretending their so called experts pick the cast. If you watch the show, then accept whatever they dish out to you. For those who like the bitching, take it. Gee whiz this show has got to be up there with the worst shows in the world. The sad thing is that with its success here in Australia and even New Zealand, I genuinely wouldn’t be overly surprised if a UK and/or US network eventually decides to make their own version of MAFS based on the one currently going gangbusters for Nine/Three. Worse have happened. Family Food Fight have been picked up globally despite being a Flop. I genuinely wouldn’t be overly surprised if a UK and/or US network eventually decides to make their own version of MAFS based on the one currently going gangbusters for Nine/Three. MAFS is in its eighth season in the US right now but it’s basically sticking to the original concept. Not as huge there because it’s not on a major network but Lifetime and FYI. They had a story about it on Entertainment Tonight yesterday saying some of their couples stayed married and one couple interviewed has a child. No problems, it’s good to be told what to do by a TV expert! How much longer does this show have left in it? We seem to have lost two of the most interesting/entertaining couples this Sunday so it feels like it’s plodding along now… apart from this whole manufactured cheating scam. The fact that Jessika is openly staying on the show to pursue another guy makes a mockery of the whole process. I saw a promo during the NRL on 9Gem last week, saying the show is in the final weeks. This week is week 8 with 30 episodes aired as of last night. I think there are two more weeks to go to make up a 10 week season. There are 41 episodes apparently. I switched off last night when I head Jessika going on about how she has to be with Dan… normally I fast forward her a bit, but could not be bothered at all and just read the recap this morning. There is 3 weeks left. There are 41 episodes apparently. The fact that Jessika is openly staying on the show to pursue another guy makes a mockery of the whole process. I (unfortunately) saw the bit of the commitment ceremony where she made that decision. Isn’t/shouldn’t there be a ‘duty of care’ issue regarding her ‘partner’ (don’t know what his name is) apparently saying he’s been wanting to leave the show for 3 weeks now but he’s essentially being ‘forced’ to stay by both Jessika (through her decision) and the show (through its format)?